Sara Beth Myers has been busy. Her organization, Advocates for Women’s and Kids’ Equality, or AWAKE, has existed officially only since November 2013 but already passed a bill with bipartisan support through the Tennessee state legislature. Myers started AWAKE to fill that gap by fostering public policy to “improve the wellness, safety, opportunity and equality for women and children in Tennessee.” After building a base in Nashville, she and AWAKE members she has recruited plan to establish a statewide presence. Myers recently joined the Tennessee Attorney General’s office as an assistant AG. 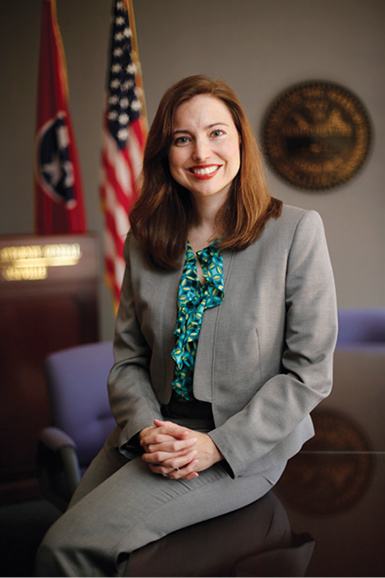 But she acknowledges that her experience at the DA’s office “really helped inform how legislative change needs to occur.” As one glaring example, Myers discovered a major omission that made much less effective a Tennessee law passed in 2012 requiring mandatory minimum sentences for repeat domestic violence offenders. Because the law didn’t include the words “consecutive” and “day for day,” offenders convicted of domestic violence in Tennessee were eligible to earn two-for-one time in jail for good behavior. That effectively circumvented the law’s intention of keeping them behind bars longer to protect victims. Myers and the AWAKE team helped draft legislation to close this loophole. The bill passed and became law on July 1, 2014. Re-post of Vanderbilt feature. Edited from the original story by Steve Haruch, published in the Nashville Scene, March 13, 2014. Used by permission.